This packet sows up to 34 feet. 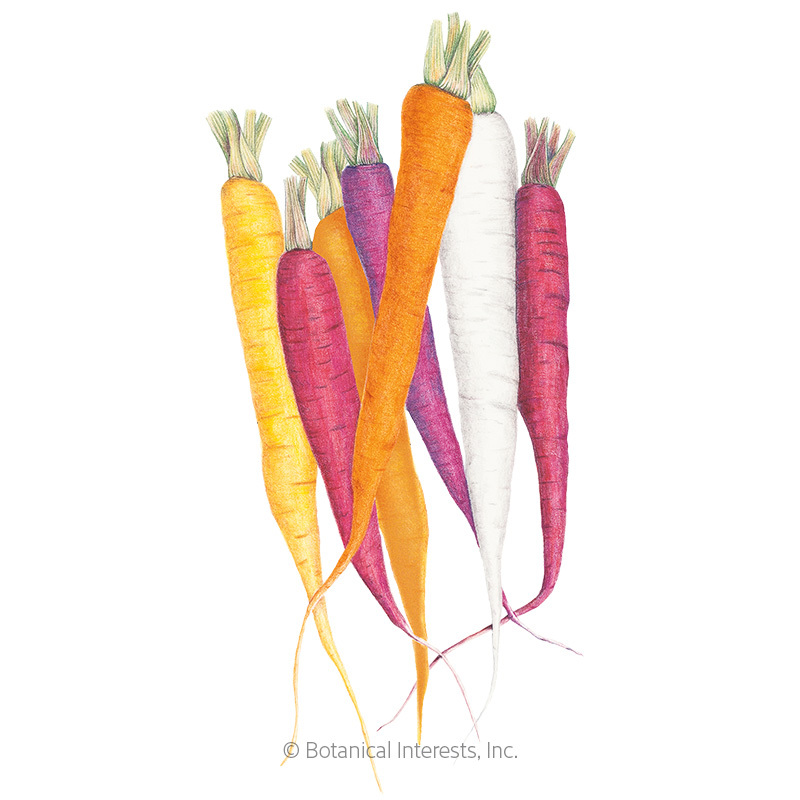 Imagine the pleasure of pulling up purple, red, white, yellow, and orange carrots from the earth, so crisp and delicious from your own garden. Packed with vitamin A and other healthful nutrients, colored carrots have been around for more than 1,000 years! For gourmet baby carrots, harvest when only 3"-4" long. Variety Information: ORANGE: Orange skin, orange interior, tapered roots. PURPLE: Purple skin, orange interior, tapered roots. RED: Red skin, yellow interior, rounded ends. YELLOW : Yellow skin, yellow interior, tapered roots. WHITE: White skin, white interior, rounded ends.